Kaiyodo has been on a roll with their Amazing Yamaguchi line of figures based on western comic book characters. The conspicuous Revoltech joints are still present but they now act as precedent for the crazy articulation these figures have. So it’s only a matter of time before they went back to a character they had history before… to mixed results. While it’s a common nowadays for Japanese import brands like S.H.Figuarts, Figma, and MAFEX to release Iron Man figures based on the MCU designs, Kaiyodo actually took the first stab at these in their Sci-Fi Revoltech line. They had great articulation with some even having light up features. Though most collectors, myself included, ultimately went with releases from other manufacturers. 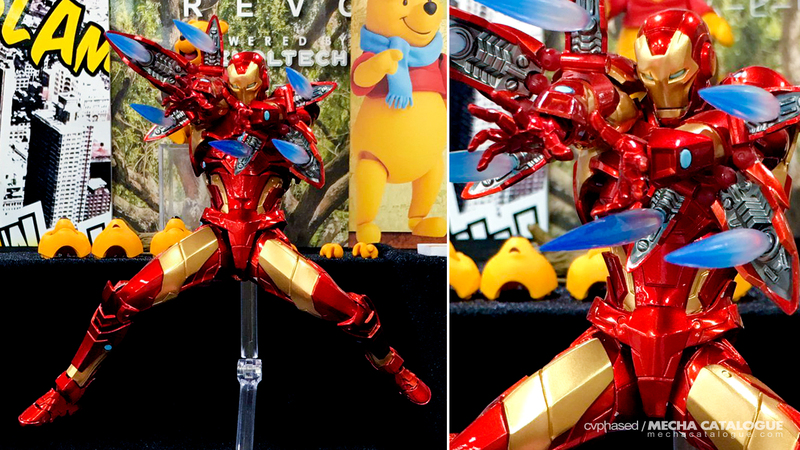 That said, it does look like Kaiyodo has learned their lesson from the previous Amazing Yamaguchi releases as their version of Iron Man Model 37 “Bleeding Edge Armor” looks really good. Design liberties aside, it has great articulation with multiple accessories and effect parts. Definitely an option for those who didn’t want the Marvel Legends or the larger-scaled RE:EDIT Iron Man from Sen-Ti-Nel.